Decided to switch eCommerce platforms from Volusion to OpenCart? Allowing Optimum7 to manage your Volusion to Opencart migration will allow you to transfer your entire eCommerce site onto OpenCart’s platform efficiently. Flawlessly migrate all of your customers’ information, their orders, and product and sales-related information without any disruption to your current operation. Optimum7’s talented developers can design an automated, stress-free process that will result in a seamless and error-free migration free of broken links. With the assistance of our development team, you’ll be able to preserve your customers’ information, category pages, descriptions, order IDs, and more. We can also strip any HTML code from your category product names and descriptions. Most importantly, you won’t have to worry about any loss of data. Your new OpenCart store will operate perfectly with Optimum7’s scalable migration services. 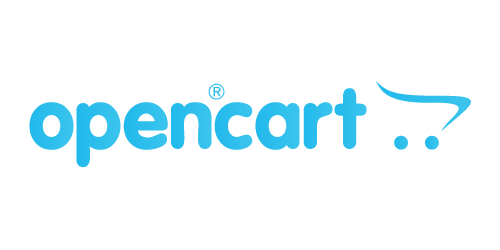 What kind of data can be migrated from Volusion to OpenCart? Two important SEO attributes that are critical to any eCommerce website are the meta-title and description. Equally as important are the categories description and category images. These are all inclusive within the migration process. You’ll also be able to migrate invoices and with it, customer contact information gaining valuable data to analyze demographics to target the right pool of potential buyers. Along with the customers’ name, email address, telephone number, and company name, you’ll be able to acquire the order date, order status, product price, quantity ordered, tax price, shipping price, and order comments. Retain all of your current and past promotions. Any information that’s related to gift cards, coupon codes, Coupon from Date or Coupon to Date, Uses Per Coupon, Uses Per Customer along with the type of discount, the discount amount, and the amount spent can all be migrated to OpenCart. All of the information that’s related to products reviews will be migrated over to the OpenCart platform. Fields such as Created Date, Rate, User name, Comment, Product, and Title are all part of the migration process. Migrate your 301 redirects during the eCommerce migration to avoid loss of or decrease in organic traffic. Re-organize your inventory to a proper parent/child listing by bulk editing your category names and descriptions without HTML tags. You’ll also be able to add custom functionalities that will improve shoppers’ buying experience. Do all of this and safeguard your product images URLs. For blog posts, migrate the category descriptions along with all of the images and product descriptions related to each post. Additional: Manufacturer's info, purchase orders, coupon codes, etc. 5. Review & Enjoy Your New Store! Switching platforms or websites might be potentially risky for your search engine rankings. Most marketing experts are very cautious while working on these migration projects. With thousands of product pages on your OpenCart site, these migrations must be executed carefully. If the migration is done incorrectly, it can result in multiple 404 error pages. These 404 pages could cause you to lose your rankings and authority within days and destroy years of hard work. Optimum7 staff is very well versed in OpenCart PPC (Paid Search), OpenCart SEO (Search Engine Optimization), Amazon, Ebay, Jet, Walmart, Shopping Comparison Engines, Inventory Management Systems, CRMs and all levels of integration. We have already migrated more than 2,000 eCommerce stores! It has free modules and themes. Opencart Development cost is comparatively cheaper than others. Since it is easy to learn, low quality and vulnerable modules are available on Internet. Optimum7 provides a fully automated migration that doesn't require any programming skills on your part. Through our services, you’re guaranteed to achieve an effortless and successful switch, free from bothersome bugs and glitches. You’ll have a newly established store that will provide the transformation you're looking for with everything in tact.